I almost completely forgot about my wrap-up this month. Thanks must go, again, to Bree at All The Books I Can Read because her wrap-up arriving in my inbox reminded me that I hadn’t written one yet. April was supposed to be a great reading month for me, I had plenty that looked amazing and I was excited…. it didn’t quite pan out that way. I had books that took longer than expected and two weeks of school holidays. I also had four long drives that make for amazing reading time – except that three and a half of those trips I had to drive. I am hoping that May will make up for it, and I have my fingers crossed because there are a lot of great book club reads that I have to tackle. 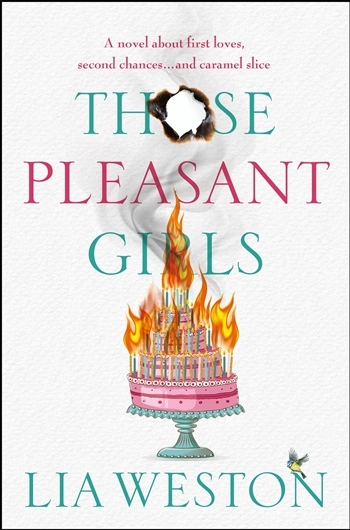 One digital this month, I read a netgalley copy of Those Pleasant Girls that we have a current competition for. I had big plans for more digitals but it just didn’t pan out. 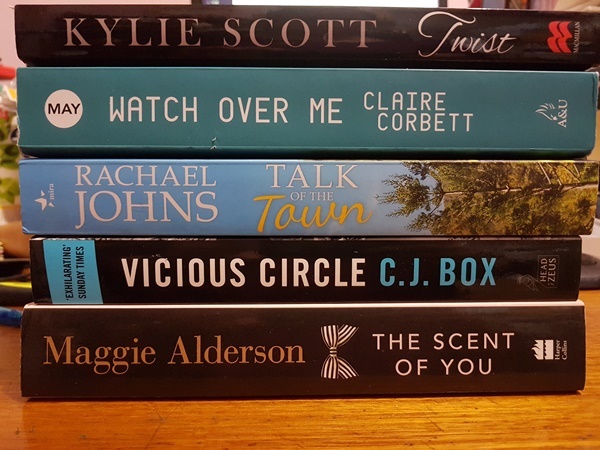 I still plan to get the new Claire Boston, there is also the Hot Aussie Knights series releasing soon that features stories by Amy Andrews, Trish Morey, Victoria Purman and Sinclair Jayne. I plan to get onto preordering those next week too; I tried to preorder already but no-one wanted to let me use paypal. So I will have more digitals coming up, when I can find a gap to slide them in. The majority are 4 and 5 star reads again and I love that, but still wonder if I am not tough enough. Talk of the Town by Rachael Johns would have to be my favourite but I do love her work and this one was different to her previous work and I was impressed by the tough topics she tackled. Book Club reads, only four of my six were for book club and that is certainly a surprise with the length of the list I have for book club in May. The other two titles were both read as part of Blog Tours, or were supposed to be if I hadn’t temporarily forgotten about the book. Highly anticipated for May, wow this gets harder and harder. I’m still looking forward to Jewell In The North and Vigilante. Heart Breaker by Shannon Curtis looks fantastic, I also have the new Karly Lane calling me. There’s even some exciting June titles on my shelf. For now, I best leave you with it because it would have to be almost feed time, the toddler is stirring after his roll out of bed and I have a stack of books a mile high calling me. Book club members keep an eye on your inboxes, there should be another email in a couple of days if I can get this book finished. We would love to know what you have read and loved recently! I’m just trying to work out how many I read, and I’m pretty sure I read 7.. The Scent Of You, The Orphan’s Tale, When We Collided, Her Mother’s Secret, Behind Her Eyes. Horace Winter Says Goodbye, and The Dry. I just finished Everyday Lies by Aussie author Louise Guy – her debut adult novel – brilliant!! You must read it Michelle! I have heard that was good, I will add it to my wishlist …. LOVED Talk of the Town and also thoroughly enjoy your wrap up, Michelle. I sit and wonder – in awe – each month how you manage to fit as much in to your busy life as you do. You’re an inspiration. Hope you have a very, very happy Mother’s Day.